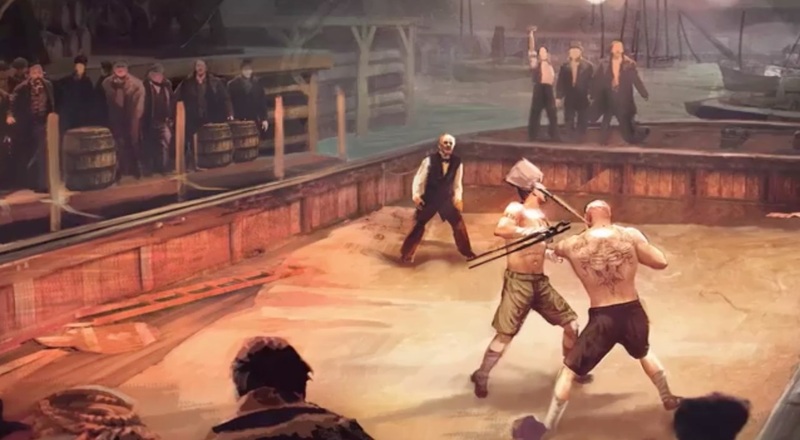 Is that Brock Lesnar in Assassin's Creed Syndicate? 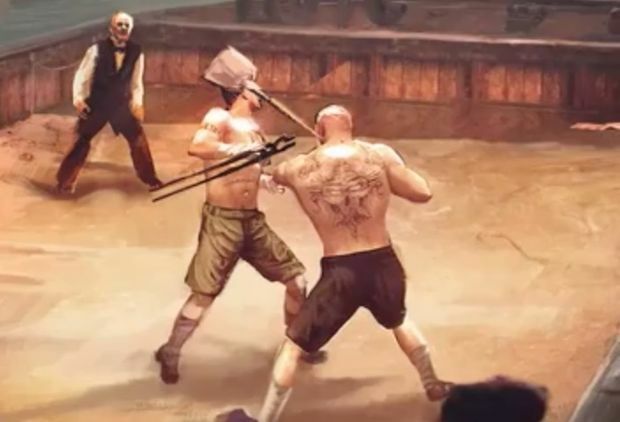 An eagle-eyed Kotaku reader has spotted a familiar - if unexpected - figure in the recent Assassin's Creed Syndicate stream: wrestler and all-round I-kick-asses-for-a-living-dude, Brock Lesnar. That kind of similarity isn't coincidental; it's deliberate and intentional and, let's be honest, more than a tiny bit awesome. Does it mean Brock Lesnar is in the upcoming Assassin's Creed game? Probably not, particularly as we're looking at concept art rather than in-game graphics. But given he appears to be whacking former UFC champ Frank Mir in the face, anything's possible, right? I hope they had permission to use his likeness, though. Can't say I'd want to get on the wrong side of him. We've reached out to Ubisoft and will let you know what it has to say.